8-Bit, 10-Bit, What Does It All Mean for Your Videos? Camcorders, sometimes called digital camcorders, are versatile motion capture cameras. Selecting the right one for your needs depends on several variables. If portability is a concern, you should look at mini camcorders, which can travel with you everywhere. The camcorder's home country is another consideration. 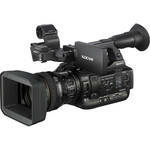 If you intend to use it primarily in the United States, an NTSC compatible camcorder is the way to go. However, if you intend to use the camera in Europe, Asia, or Australia, you'll want to look at PAL camcorders. 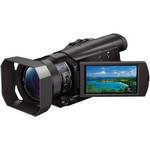 A professional camcorder is highly customizable and records at the highest quality. 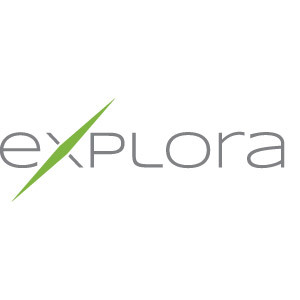 Notable brands include JVC, Sony, and Panasonic, among others. Choose a pro camcorder if you need a device that captures ultra-high quality video and audio, and offers flexibility, such as the ability to switch between lenses and microphones. Consumer camcorders are generally less customizable than professional ones. However, they're excellent all-in-one packages that perform a variety of tasks well. For example, most will zoom to some extent, and many models also have useful features such as night mode, fast auto-focus, still shooting, and rechargeable batteries. These small, tough cameras go wherever you go. 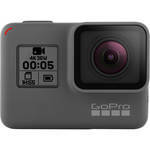 The brand name GoPro has become synonymous with action cameras, but there are a variety of brands and styles from which to choose. If you need something that will go underwater with you, the action camera's depth rating likely goes deeper than you care to. 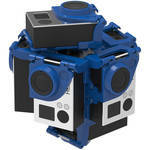 Alternatively, if you want to catch base-jumping in epic slow motion, you'll also love how durable these cameras are. For any high-intensity or extreme activity, an action camera is going to be the best choice, especially since they can be held by hand or mounted on a helmet, a vehicle, or even your body through use of a harness. An incredible format, 360 video allows viewers to immerse themselves in the video they're watching. A specialized setup captures video from every direction. Unlike traditional video cameras that capture only what's directly in front of the lens, 360 camera setups capture what's in front, behind, on the sides, and even below and above. When viewers watch a 360 video, they can pan to look in any direction, just as if they were present for filming. 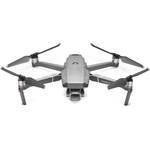 Like an action camera, some 360 degree video devices are handheld camcorders, while others mount to a stationary object like a tripod, or a moving one, such as a vehicle, person, or drone. Whether you want to record an underwater adventure or need the versatility to quickly change microphone attachments, having the right video camera will ensure you never miss a filming opportunity. 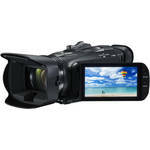 Check out B&H Photo and Video's selection of camcorders to find everything you need to record movies.